This is genuine Swarovski Crystal, which is manufactured in Austria. 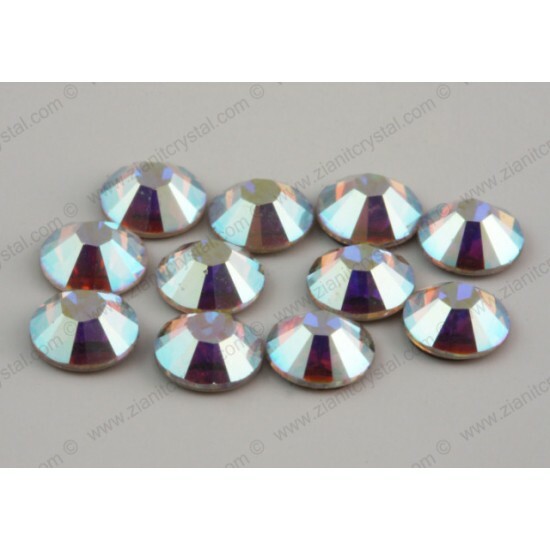 The size is SS 48 (~11mm) and the colour is Crystal AB (001AB). This is genuine Preciosa Crystal, which is manufactured in Czech Republic. The size is SS 20 (~5mm) and the colour is Aquamarine (60000). .. This is genuine Preciosa Crystal, which is manufactured in Czech Republic. The size is SS 20 (~5mm) and the colour is Emerald (50730). Pr.. This is genuine Preciosa Crystal, which is manufactured in Czech Republic. The size is SS 20 (~5mm) and the colour is Capri Blue (60310). .. This is genuine Preciosa Crystal, which is manufactured in Czech Republic. The size is SS 20 (~5mm) and the colour is Peridot (50520). Pr..